As a photographer, I've been asked to document the 3rd annual #conqueringkili mission via the Waterboys.org. In short, my sponsorship fell through due to a timing issue leaving me 1 month to find a new sponsor or I won't be able to attend and photograph the event. 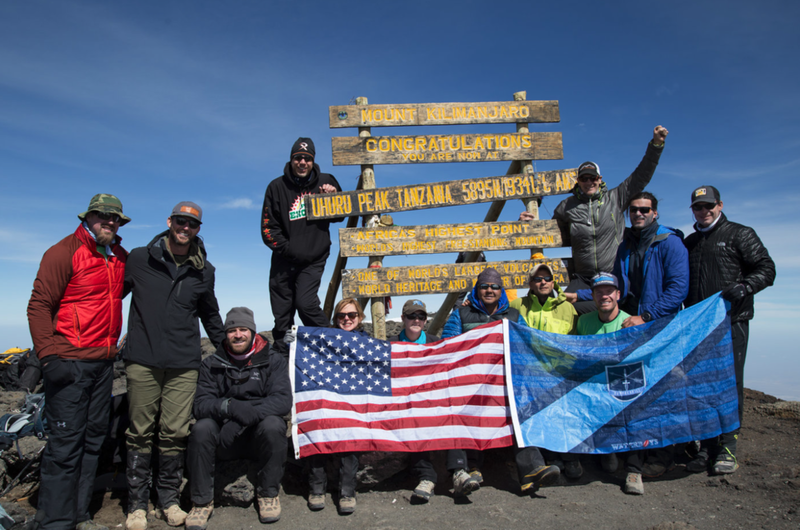 Conquering Kili (Kilimanjaro) is an awareness and fundraising campaign for the clean water crisis in East Africa. Last year we raised over $170k for solar powered clean water wells in Africa via this event/mission. The event is a symbolic hike/walk that resembles the distance walked each week by many East Africans in search of Clean Water. It is also an event that pairs retired NFL players with Military Veterans. Looking for 1-4 sponsors to donate (501c3) a total of $11k to support the documentation of the 2018 event. We leave the US on Feb 16, 2018. This pays for the RT flights, Lodging, Tour Guided Trip and 1 piece of video equipment (unless I can get one donated or borrowed - 3-way nimble camera similar to the DJI Osmo). Since it's a charitable donation, your company can use it as a tax write off (disclaimer: I'm not a tax professional). I will also have a flag/banner made with my sponsor logo(s) and will take photos with it at the well sites in Africa as well as the top of Kili. I will also give you social media credit on all photos from the trip this year (disclaimer: I don't have a HUGE social following....yet). You will also receive digital copies of the photos for use on your sites and platforms. Lastly, you'll be added to the sponsorship page on Waterboys.org.